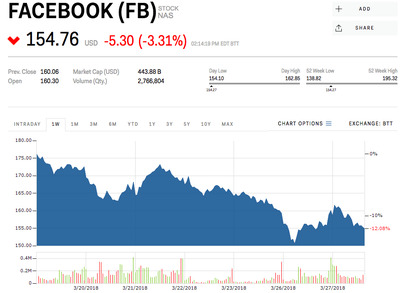 The market is overreacting to the news of political research firm Cambridge Analytica’s Facebook data scandal, according to Barclays analyst Ross Sandler. Further, Facebook’s revenue won’t be impacted too muc by the European Union’s General Data Protection Regulation, according to Sandler. Facebook’s highest performing advertisements use non-sensitive user information that is not subject to GDPR rules. 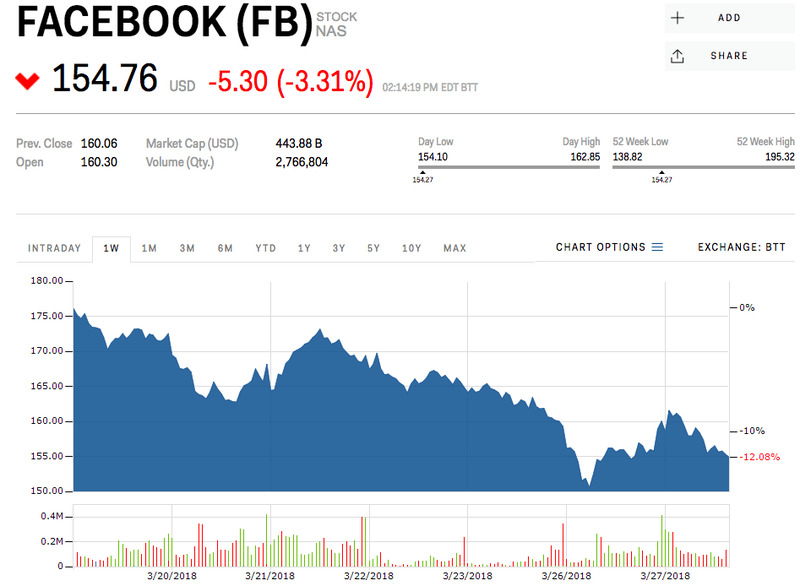 Facebook’s recent woes are excessive, according to Barclays analyst Ross Sandler. Shares of the social media giant entered a bear market Monday on news of a massive data scandal involving political research firm Cambridge Analytica. Investors fear Facebook users might delete their accounts in order to protect their personal information, but more importantly, that an Federal Trade Commission investigation of the Cambridge Analytica scandal and the European Union’s pending General Data Protection Regulation (GDPR) will hinder advertising revenue growth. But Sandler doesn’t think Facebook’s problem is all that bad. “The idea that FB is going to face huge fines seems overblown,” he wrote in a note. The GDPR set of rules is set to go into effect on May 25th this year. Still, “our checks have yet to point to any large direct response advertisers changing their intentions to spend on Facebook in 2018 since the crisis broke out a week ago,” Sandler wrote. One reason advertisers will still spend on Facebook, Sandler posits, is that the most lucrative ads Facebook sells use non-sensitive information that is not subject to GDPR rules. “We are more concerned around reported monthly active user leakage than we are about revenue leakage, as most of the higher performing ad products use pseudonymous data around shopping behaviours,” he wrote. That pseudonymous data “doesn’t contain personal or sensitive information under GDPR,” the note said. That is why “the overall impact will be relatively small given the diversity of customer acquisition channels and the reliance on non sensitive data which is largely already in compliance with GDPR standards in Europe,” Sandler wrote in the earlier note. Sandler gives a price target on Facebook of $US225, compared to Wall Street’s $US220. Shares are trading down 3% Tuesday, hovering around $US154 a share.